I’ve been asked about my interest in reincarnation: why do I pursue it, besides simple curiosity or a passion to know? It would be sufficient to simply want to answer one of the “big questions”: does the soul, or an individual consciousness, travel from one body to the next through time? Many philosophers and scientists (and I’ll be more specific on who they are and what they said in another post) have said that reincarnation is the only “life after death” theory that makes sense; whereas the concept of Heaven, Summerland or the Fifth Dimension seems either like wish fulfillment or bizarre and unprovable theory, reincarnation seems to fit with how nature works–a sort of endless recycling and renewal of life. My story is not impressive compared to the evidential histories of the children Ian Stevenson and others extensively interviewed and cataloged. In fact, my recollections would be tossed on the circular research file, but I think it merits discussion nonetheless. I have not identified who I might have been before, but from a very early age I exhibited odd behavior and a pathological fear of illegal drugs. The earliest recollection I have are the panic reactions I had to anything about hippies and drug use on television. I would utterly freak out if a show came on that had anything to do with marijuana or people overdosing; and this was long before I should have had any knowledge whatsoever of drugs or the lifestyle that accompanied them. My parents had a “special plant” on the balcony when I was five or so, and I knew EXACTLY what it was; I remember my anger at them for growing it. When I was nine, I went through all the drawers in the house looking for a pen when I found several fat joints hidden under some papers. Not only did I know it was marijuana, I also suddenly remembered myself in a drug-induced haze, sick and unable to function. My anger at my parents stemmed from a deep and intimate understanding of drug addiction, although they had never discussed marijuana use with me or any other issue having to do with illegal drugs. I had a flashback at 13 or 14 while watching Bowie’s “Space Oddity” on television. I relived an episode where I was so high that I was on the verge of unconsciousness–I even knew exactly where I was when it happened–Haight Street in San Francisco. I had never tried an illegal substance of any kind at that point, and to this day, I am the only person I know who has reached the ripe old age of 44 without EVER taking an illegal drug into my system, in spite of the intense peer pressure to do so all through high school and college. I had and have a pathological and irrational fear of all drugs, which has since extended to prescription medication. I have never been able to visit the Haight Ashbury district without the unsettling feeling that I know every single side street, alley and storefront with a kind of familiarity that bothers me even now. It’s not about remembering previous visits or not liking drug-addicted kids, but the knowledge that I WAS a drug addicted kid and I might have even died near there. This all might sound ridiculous, but even my parents remember my bizarre reactions to anything having to do with drugs since I was far too young to have any experience or knowledge of such things. I’ve had panic attacks almost my entire life that have to do with loss of consciousness and asphyxiation due to some ingested substance. I’m sure I’ve taken something that will kill me, even when logic tells me that I haven’t; I still relive what could be my previous death. Sadly, if I had a previous life, it was a very sad one and it ended miserably. The reincarnation theory is the only explanation that makes sense to me, the only concept of the soul that explains why I always felt as a child that I was remembering things that had not happened to me. For years, I would remember scenes and places that made no sense to my parents. I had emotional reactions to events and places that had nothing to do with my present experience. It’s hard to explain, but even now I can recall how it felt to be a child with “impossible” memories, knowing things I should not have known, behaving as if some other life were still influencing my identity and mind. 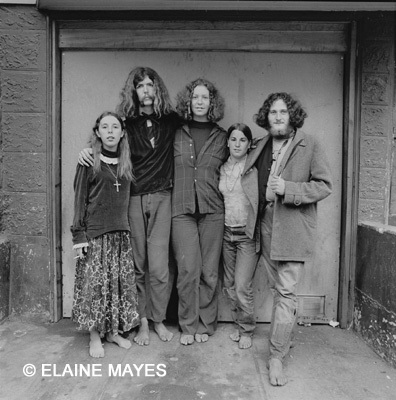 Dying of an overdose somewhere in San Francisco in the early 60s . . . not what I would have chosen for a life. But I’m not sure we have that choice to make. If reincarnation is a fact, then it’s not always pretty or happy . . . in fact, in my case, I’m fairly sure it was a miserable and short existence. I have the opportunity now to give that other me another chance at happiness. Dinesh D’Souza on Life After Death: Are You Convinced Yet? Dinesh D’Souza recently discussed and debated the arguments in his new book, Life After Death on KPCC’s AirTalk (http://www.scpr.org/programs/airtalk/2009/12/16/life-is-that-all-there-is/). I, of course, had to run to the computer and order the book. I read it quickly–he is gifted with an ability to write clearly and persuasively, and his humor–although quite biting and even sarcastic at times–was actually quite refreshing in a field that takes itself very, very seriously. I admit that I was initially worried about his openly Evangelical background and the endorsement of pastor Rick Warren, who runs a Christian empire in the O.C. I am nervous about the kind of Christian that D’Souza openly professes to be: a fundamentalist who sees little gray area in life, death and the afterlife. For me, the gray areas are all I have been able to find; the more I know, the less I know–but D’Souza could always claim that is where I lack faith, or I am simply not sufficiently persuaded by his arguments. A total dismissal of what he calls “spooky stuff,” namely anything in the field of parapsychology. With one line, he brushes aside all of the work of the SPR and the ASPR of the last 150 years or so–in fact, he doesn’t even mention them at all or any of the voluminous work they carried out on mediumship, deathbed visions, apparitions, ESP, and all the other areas of study they engaged in (by “they”, I refer to the distinguished founders and those that continue to carry on the work). This makes sense, I suppose, since Christians do not believe in contact with the dead. The Bible prohibits such contact on the grounds that souls cannot be reached from the afterlife, and any purported communication with souls is in reality a tool of the Devil to trick the unsuspecting and gullible. A refusal to explore in depth the most heavily researched area into life after death of the last 50 years, namely, Dr. Ian Stevenson’s unbelievably thorough and exhaustive research into children’s past life memories. The work he did was so meticulous that one can barely wade through the details, but taken as a whole, the evidence clearly points to reincarnation as a fact. D’Souza, however, refuses to go into any depth on the issue for the rather unconvincing reason that not enough children remember lives from other countries. This is an interesting fact, but by itself does not in any way invalidate the claims of reincarnation. Again, this makes sense for a fundamentalist Christian: reincarnation is not what is supposed to happen to the soul after death. It’s either Heaven or Hell, not the Eternal Return. Interestingly, later in the book D’Souza seems to accept the reincarnation possibility as part of his argument, but he appears uncomfortable with the implications. A complete dismissal of the “multiverse” theory of quantum physics and a general superficial glossing over of what quantum mechanics has to say about other dimensions where consciousness could reside. He doesn’t even mention consciousness and its centrality to the most famous experiments in quantum physics. I don’t think he fully understands that branch of science, and certainly I don’t, but I have read enough to know that D’Souza has more homework to do. He should at least discuss Shrodinger’s infamous cat!! And if, as quantum mechanics maintains, there are multiple dimensions beyond the ones we able to perceive, then why in the world could it not be possible that life continues or replays itself within the folds of an 11th dimension, a place–or many places–that all of our alternate possibilities as humans play themselves out? D’Souza brings up String Theory, but hardly attempts to explain it. You just can’t gloss over such fundamental theories of reality without weakening your argument. Again, if you want to preserve a place for God, you have to drop-kick quantum mechanics out the window, for it says nothing about God or a Creator. Given all the above, I am not sold on D’Souza’s arguments, but I am impressed by his passionate reasoning. I wish that he were not so willing to ignore or under-analyze areas of inquiry into consciousness with which he does not agree, or with which he is not comfortable. 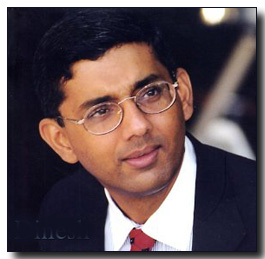 But then again, D’Souza is less interested in survival of consciousness and more interested in God and His afterlife. I understand that, but without faith, D’Souza won’t make you believe. He would argue that his book does not require faith, since it proves by a preponderance of the evidence that God exists and life after death is a fact. I want to be converted, yet D’Souza needs to write a few more books on the topic and be willing to include the “spooky stuff” if he wants to do justice to the topic and win over intelligent readers who need more proof and less metaphysics. After reading countless books on the survival of consciousness, quantum mechanics and the Fifth Dimension, transpersonal psychology, collected stories from health care workers and surgeons, biographies of forensic pathologists, case histories collected by lay people, doctors who have branched into metaphysics and soul survival, and psychologists who study reincarnation, I am left with a strange confusion and less certainty than I thought I would have at this point in my life. I started this quest because I wanted to know that there was something else to life than simply living out one’s life span and then disappearing. Honestly, life wouldn’t mean terribly much to me if it ended with nothing. Time is running out for us all, but once we are firmly entrenched in “middle age” (oh, how I hate that term), we acquire a unique perspective on mortality–we now understand intimately that time is not eternal, that we don’t have forever to accomplish our goals or chase our dreams. When I think about Kirsten at 15, I realize that it was 1980–and it doesn’t seem very long ago. 1980 was 29 years ago. If that feels like yesterday, then the next 29 years will fly by and I won’t feel all that different or evolved. I will be 73 years old. The math seems ridiculous, impossible. I always thought that I had all the time in the world, that my death would be unimaginably far off, that I would always feel like I was 15 with an eternity ahead of me. Now, of course, time has become frighteningly finite; there is a sense of urgency now about life’s projects. The problem is, life’s projects make little sense to me and carry far less meaning if they all culminate in nothingness. The shock of late is the realization that much of what I wanted to do cannot be accomplished in my life span. I watch my parents and others I love and understand that they have not evolved to some new level of enlightenment that makes death somehow acceptable and desired; far from it. We are all still teenagers in aging bodies, as confused now about the point of it all as we were 20, 30, 50 years ago. My elementary mistake as a teenager and young adult was thinking–and truly believing–that everyone undergoes a process of transformation and evolution as they age, preparing them for every stage as it comes; by the time we are actively dying, we would–should–be at such an enlightened state we are ready for death and filled with joy at the prospect of The Transition. This is not true for me or the vast majority of the people I know. Not only are we not evolving into saints or seers, we are often devolving, bec0ming more fearful of death the closer it gets. How is it possible that we are not only the same people we were decades ago, but also reflecting the worst tendencies, beliefs and insecurities of our youth? Not only is it possible, I see it happen all the time, in myself and in others. A note of caution, though: this is a huge generalization and might not apply at all to the person reading this. That brings me to the multitude of books out there purporting to either prove or suggest that something (what?) survives the death of the body. These texts usually divide into three general tendencies: either they ask you to believe a series of very complelling stories, (these range from highly credible authors working in various health care professions to authors who work as mediums or psychics) or they elaborate complex theories of reality to support the existence of consciousness without a body (the authors that base these conjectures on quantum physics as their theoretical support), OR they take a compelling body of evidence that has been collected through the scientific method of observation and testing and dare to advance a theory on the survival of consiousness (think Ian Stevenson and Jim Tucker, working on children’s past life memories). Of all the above categories, the most compelling is the latter. Work of this type has been carried out in the field of parapsychology for over 150 years, yet few people can name any of the founding members of the Society for Psychical Research or know that these men were respected researchers in their disciplines: doctors, scientists and psychologists, to name a few. I have a compelling reason to WANT TO BELIEVE. Like Fox Mulder, I am biased towards favorable evidence while at the same time realizing that I can’t cast my critical faculties to the ether in search of the Truth. However, even given my particular hopes and biases, I can’t say that I am convinced beyond doubt by any of the books I have read. There are books who promised me that I would come away CONVERTED to the reality of survival, but I am not. I wish I were; I wish more than anything that all the evidence out there had finally and completely handed me the answers I need. What I come away with is not entirely satisfying; after To Die For, I was overwhelmed with theory and underwhelmed with clear connections to survival of the soul. With The End of Materialism by Charles T. Tart, the author’s often-expressed doubts about his own thesis pulled me down into pessimism; with all the books that tell amazing stories about Near Death Experiences and contacts with relatives and loved ones, I am fascinated, but not sure where to go next with my thought process or understanding of the ultimate significance of these stories: are they proof or simply suggestions of something that is ill defined? These accounts are not backed by scientific research or investigation in the vast majority of the cases. I feel as if I were being asked to take these stories as articles of faith. I can’t bring myself to do that. With Raymood Moody’s books on Near Death Experiences (Life After Life is now a classic on the subject), I end up wondering–as he does–what these experiences MEAN. They don’t tell me anything about a separate, objective reality for the soul, nor can he define soul (no one can); therefore, I have more questions than answers at the end of the journey. The books that stick with me, that affect me at the deepest level and shake up my lingering materialism, are the ones by Ian Stevenson and Jim Tucker. The studies of children’s past life memories that Stevenson conducted since the early sixties are as close to convincing proof of soul survival as one is likely to find anywhere. The book Old Souls, based upon a journalist’s travels with Stevenson, is paradigm-breaking reading. It will leave you in awe of the possibilities . . . but those possibilities are disturbing and unclear. The reality of reincarnation is so close to definitively proven by Stenvenson and Tucker that it shatters what we might have assumed about life after death. Although I plan to write much more on Stevenson and Tucker in future posts, I will say here that nothing compares to the meticulous work that Stevenson carried out for decades. The conclusion? It appears that souls recycle into new bodies on a regular basis. When they do, they arrive intact with their previous personality solidly entrenched in the current body. This is not a happy, wonderful rebirth, but often a painful reliving and retelling of past trauma and abuse. The memories of these “old souls” gradually disappear as the child enters the middle years of childhood, usually around 6 or 7. What this means is that consciousness finds a new home–how often is unknown–but then departs it at a certain point. Is this something like possession? What happens to this separate consciousness when its memories fade? Or, is the child actually an amalgam of two souls who gradually meld into one? 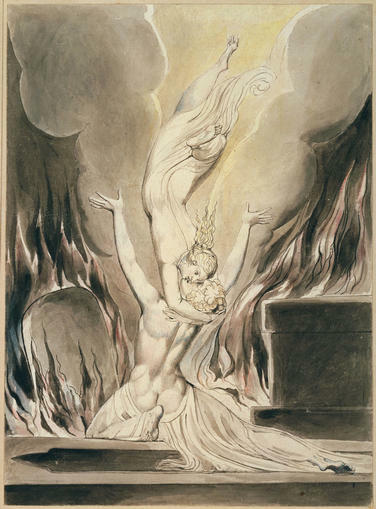 Is survival of death only temporary, and reserved for those who suffered a traumatic death? How is the decision made regarding which child to “occupy”? are these children TRULY “old souls,” or new ones attempting to throw off an invader from another lifetime? This is what keeps me awake at night. My daughter had, apparently, memories from another lifetime which she repeated to certain family members under the right circumstances, but would not elaborate on due to their painful nature. Now, she has no memory of any of this (I will discuss this in a later post as well). The person she apparently was and the person she is now have fully integrated–but what does that mean for the previous personality? If I die and am reborn, what of “me” is left in the new soul? Do I persist, or do I transform my spirit into a new identity? Is there any way to say that this person is still “me”? Ah, I could go on; but I will stop here and leave you with these introductory statements. I thank you for you patience in reading this if you have come this far. I hope you’ll join me as I continue to push the envelope for what is possible, what is real, what is ephemera, and what is somewhere in between, floating in Spiritualism’s infamous ether.